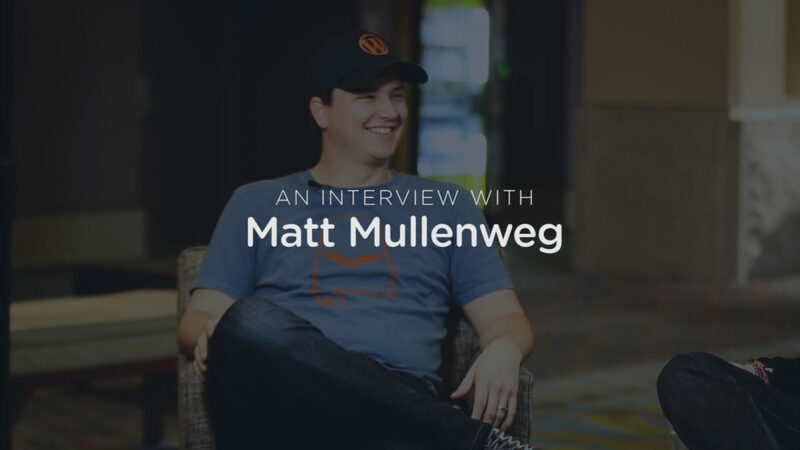 I had the opportunity to interview Matt Mullenweg at the end of WordCamp US 2016, and we chatted about the new WordPress development cycle, the WordPress REST API, and more. During contributor day of WordCamp US in Philadelphia, I was able to interview Matt Mullenweg to follow up on several items he announced in the State of the Word. We mostly discussed the new WordPress development cycle and how it will work with the three focus areas. We also discussed how that will affect other non-major updates and WordPress features. Matt also talked about the WordPress REST API, how he defines success for it, what he hopes to see out of it, and what he thinks would cause it to revert to a plugin only feature. And as this was the second and final year of WordCamp US in Philadelphia, we reflected on the event, and talked about what there is to look forward to in Nashville for WordCamp US 2017 and 2018. You can listen to just the audio, also on our podcast, which you can find on iTunes, Google Play, Stitcher, and via RSS for your favorite podcatcher. Or just watch the video on YouTube, or below for the full experience. And don’t forget to subscribe to my new channel on YouTube. Great and very informative. I am using WordPress from past 6 years and really loves it. I am also hearing the latest news and announcement from Matt about latest WordPress core developments etc. Great podcast. Very insightful interview, I’m sure for many users the road map Matt mentioned will be welcomed news. Great interview, VERY INSIGHTFUL for wordpress users like me.